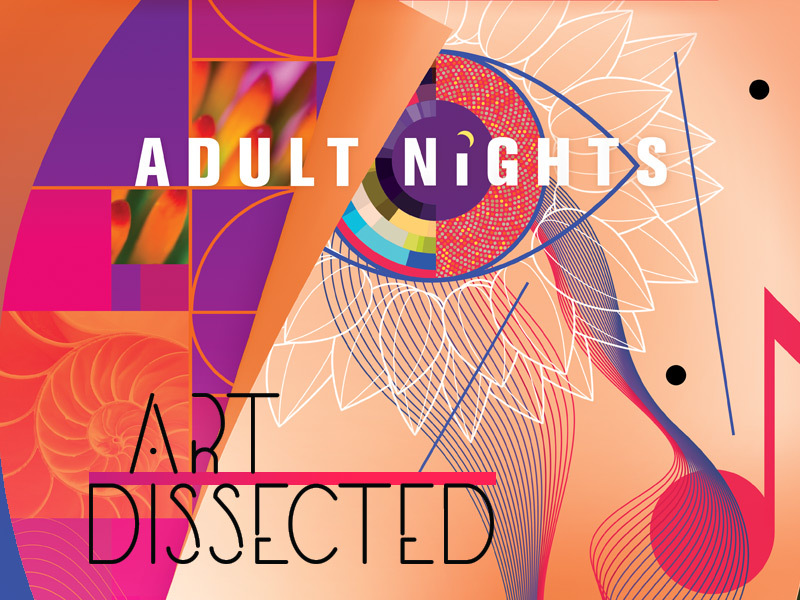 Art Dissected is presented in collaboration with the NC Museum of Art, NC Symphony and Carolina Ballet. In advance: $20, $15 for Friends of the Museum members. At the door: $25, $15 members. In the event of a sellout, only Catalyst members may purchase tickets at the door. You must be at least 21 years old to attend. A photo ID is required for entry. Beer, wine, cocktails and food are available for purchase. Become a Catalyst member and get access to sold out events. Enjoy the first round of drinks on us! For just $12 a month, you and a “plus one” will receive two free drink tickets at each Adult Night, a complimentary pair of tickets to one Adult Night of your choice and more! Become a Catalyst today! All proceeds benefit the Friends of the NC Museum of Natural Sciences. Proceeds from Friends’ activities – including gift shop sales, membership and events – support Museum programs, research and exhibits. For the safety of all visitors, we ask that guests who wear a full face mask or other items that completely obscure the face remove those items during check in. Costumes should not contain any elements which resemble, or could easily be mistaken for, an actual weapon. The Museum reserves the right to turn away any guest with a costume that we deem offensive or unsafe. For sponsorship opportunities, contact Andrea Jones at 919.707.9839 or andrea.jones@naturalsciences.org. Fee: $20 in advance, $25 at the door, $15 Friends of the Museum members. Requirements: You must be 21 years old to attend. A photo ID is required for entry. $20 in advance, $25 at the door, $15 Friends of the Museum members.